some of these are BIG files! 1962 Plymouth Look at Plymouth Now! 1962 Plymouth The Newer Plymouth Looks! 1963 Plymouth Fury On the Move! 1964 Dodge Dart Compact See! 1965 Plymouth The Roaring 1965s and Plymouth Fury T.G.I.F. Also see ads (mostly Imperials but not exclusively so) that are also posted on the great Imperialclub.com Web site. 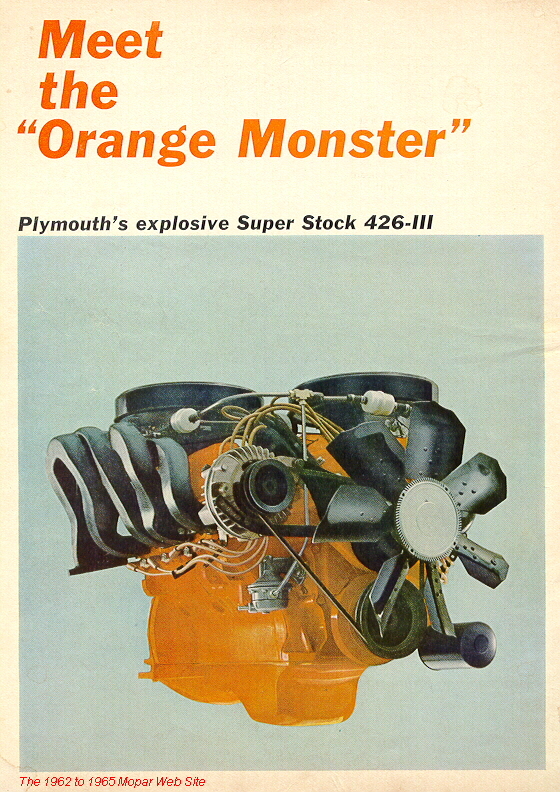 Also visit Lee Hermans Web site, making classic Mopar ads available since about 1996! 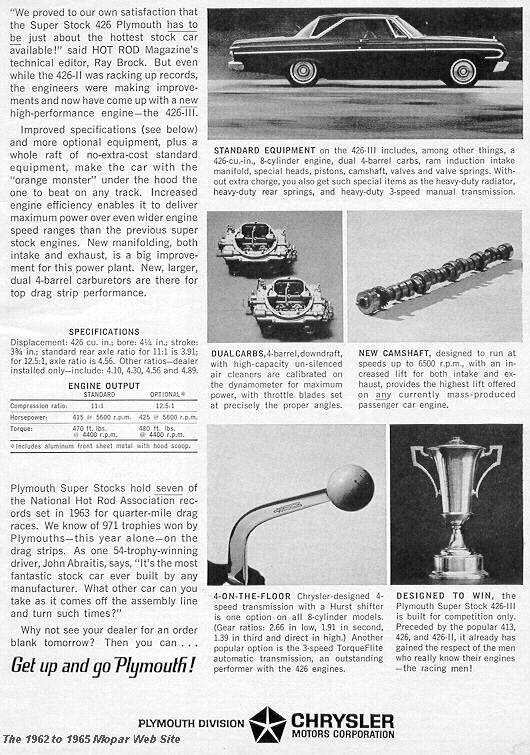 Go back to the 1962 to 1965 Mopar Web Site Home Page.